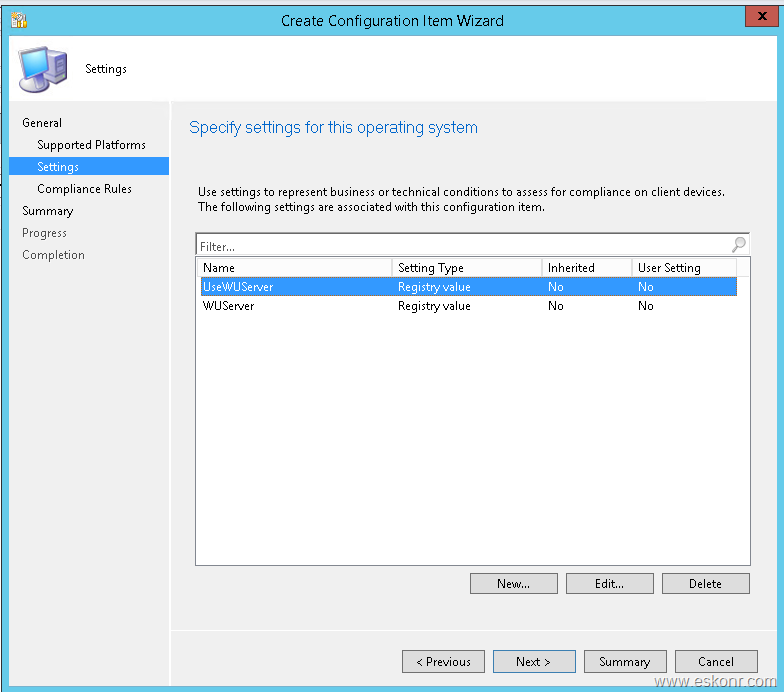 When you install configuration manager client to manage any windows device ,it will try to configure local group policy to set WSUS server settings (unless you have no GPO configured to set these settings) .If at all ,you have any GPO to configure the WSUS information ,local GPO that created by configmgr client will fail which will be logged in wuahandler.log,windowsupdate.log. If you look at wuahandler.log, you will see error something like below. 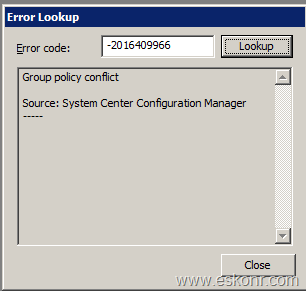 “Group policy settings were overwritten by a higher authority (domain controller) to server and policy not configured” . 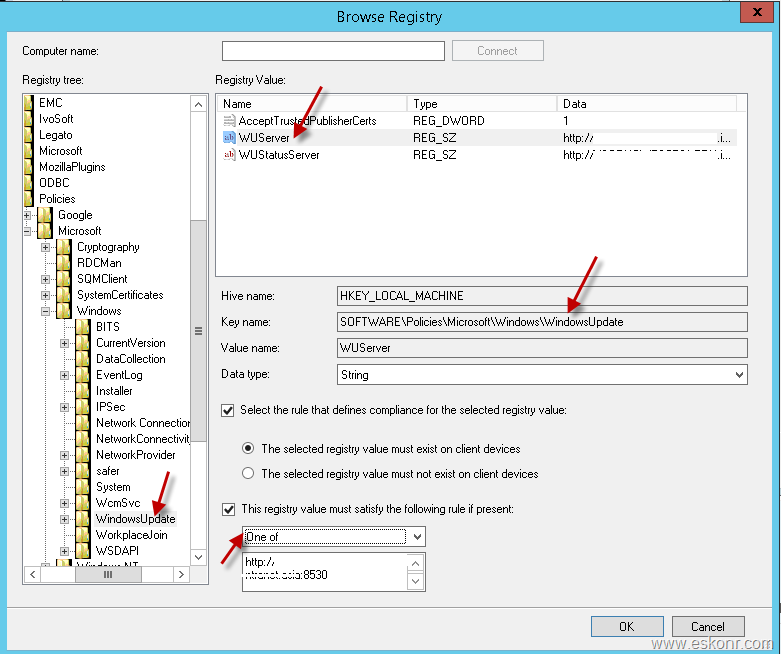 In this blog post, we are going to see ,how to check 4 primarily used windows update policy settings the WSUS settings like USEWUServer,WUServer,NoAutoupdate and accept trusted publisher certs (for 3rd party patching) that are correctly configured or not before clients perform software update scan. Although you can do SQL query to get the clients that are having issue with GPO conflict ,but it is always good to check the these registry keys to make sure clients are good . AcceptTrustedPublisherCerts—> for trusting the 3rd party updates if you are using SCUP to trust adobe,flash ,java and other updates that are deployed via SCCM. 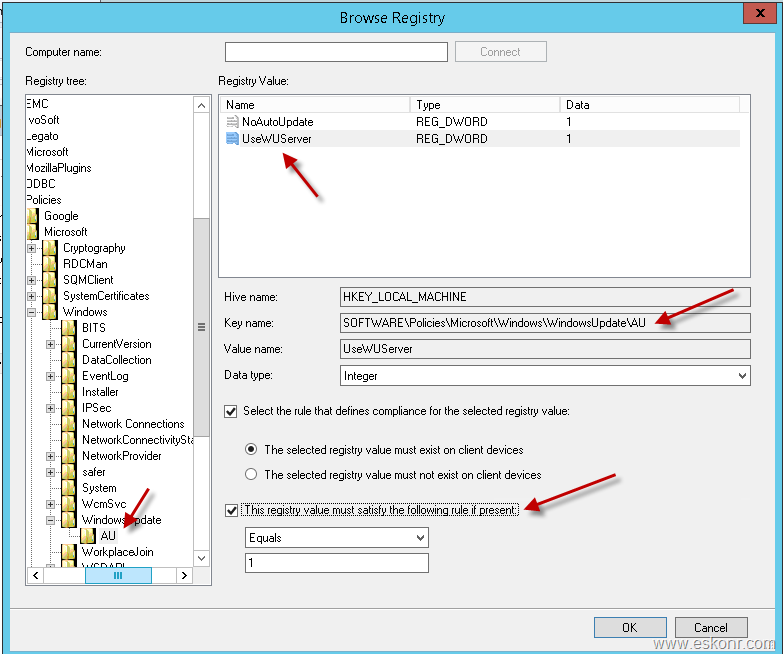 I have couple of blogs how to create configuration item with settings hence i am not going to show you step by step . I will go through the settings that are really important for this task. At the end ,i also attach the exported version of configuration baseline however you might have to edit it after import due WSUS server information. In new setting, provide the following information. 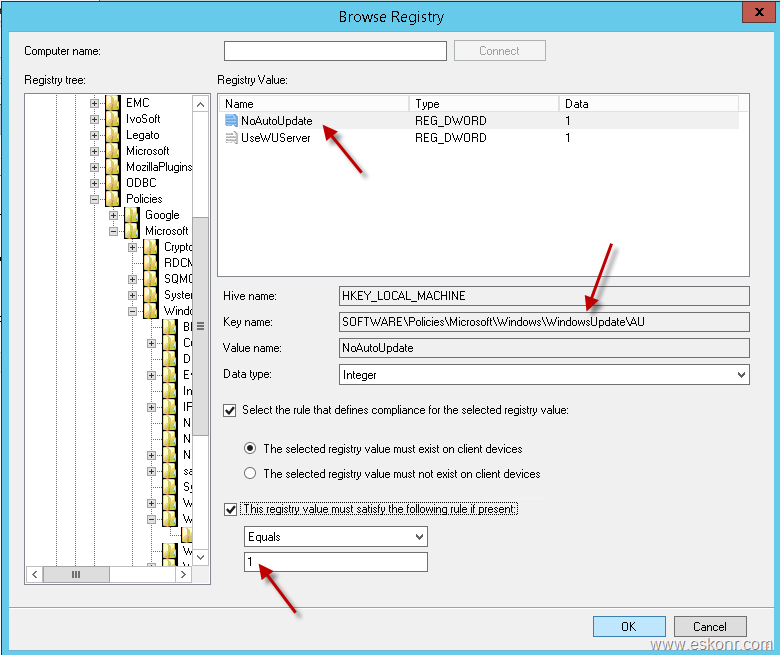 Registry key: Choose the following settings. Click on compliance Rules , you will see 2 conditions . How do you get list of all WSUS server locations ? Run the following SQL query against your CM database. we now have created one setting for WUserver ,like this we need to create for 3 more entries . For UseWUServer ,click on New ,follow the options listed below. 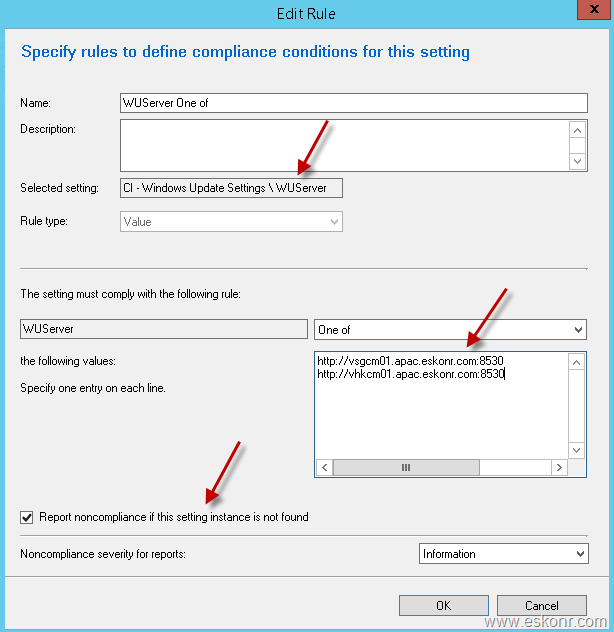 Under compliance rules ,select Report noncompliance if this setting instance is not found . we will create the rest 2 conditions in similar way that we created for UseWUServer . 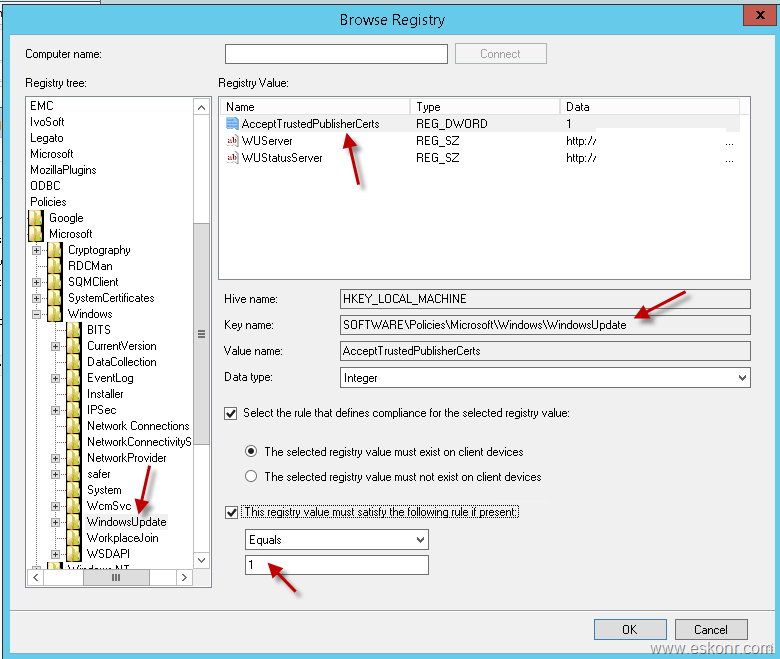 All you need is point the registry key to respective value. 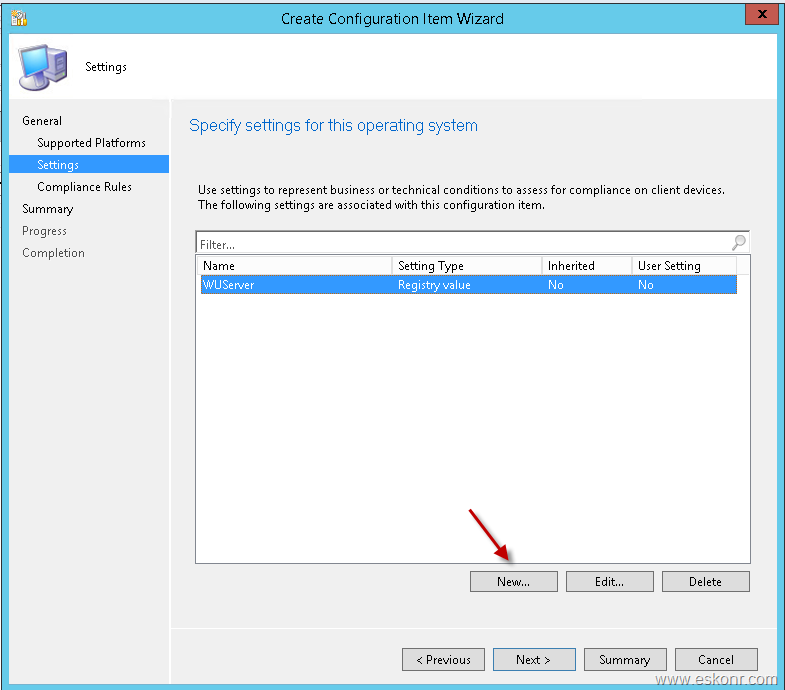 Click next for the completion of configuration item wizard. We can now create configuration baseline and deploy it to collection . If any of the above setting is not found on the client computer, it will report as non-compliant which will help you to troubleshoot and fix software update scan issues. 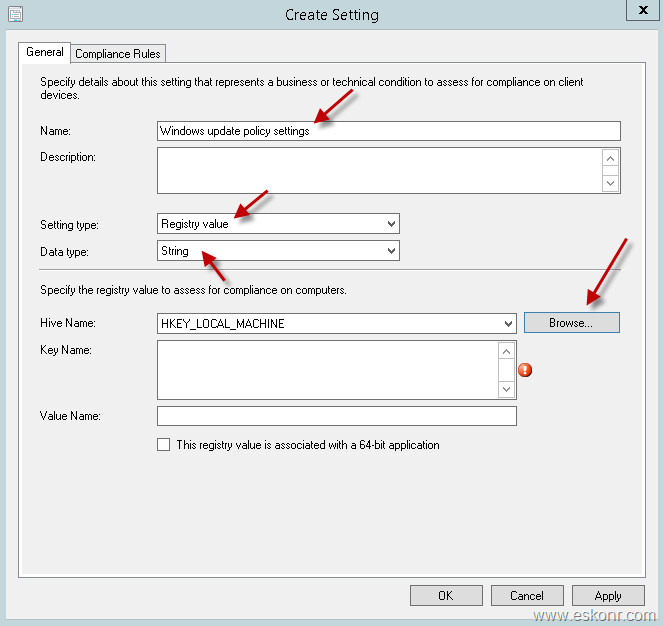 Download the CB – Configuration baseline for Windows update policy settings here . 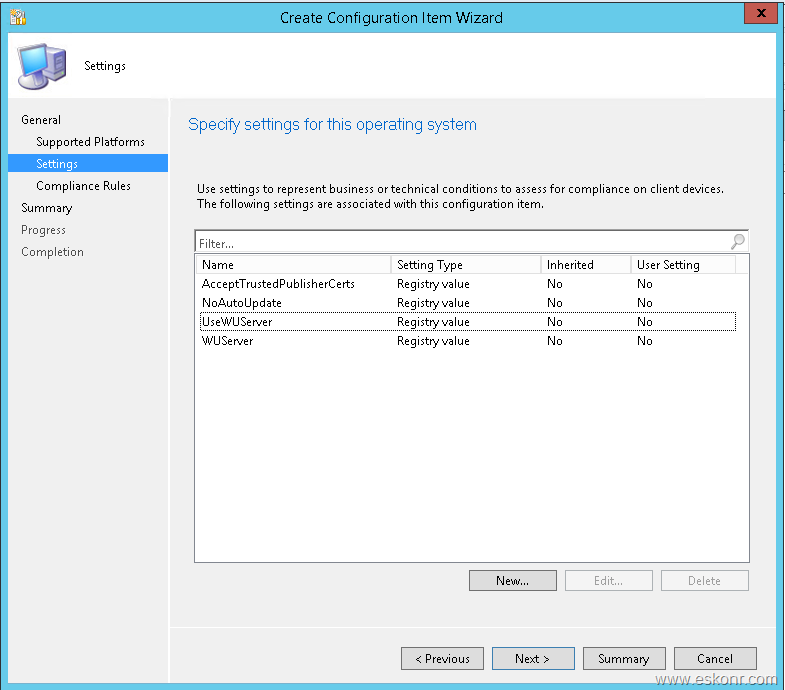 To import ,go to compliance settings – configuration baseline ,right click and import the cab file. 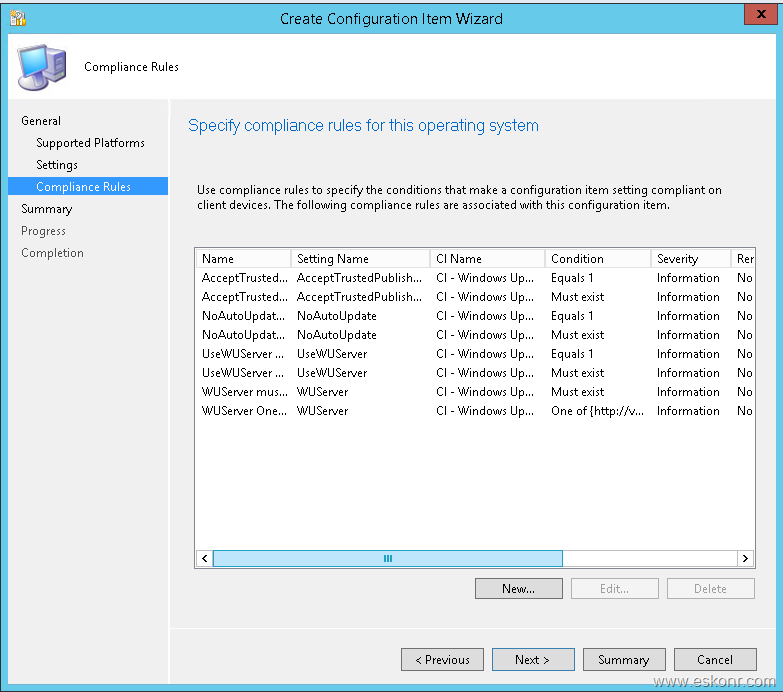 After you import the cab file ,don't forget to edit the configuration item and modify your WSUS server settings.